2018 marks Animal Rescue Foundation’s thirty fifth year as your local humane society. During those 35 years, ARF’s mission has been to find responsible permanent homes for unwanted cats and dogs, to encourage spaying and neutering of all pets, and to educate the public on the proper care and treatment of animals. Animal Rescue Foundation is led by the following Board of Directors: Allene Veazey, President; Andrew Herren, Co-President; Patti Tolbert, Secretary; Dave Groseclose, Treasurer; and Members at Large, Robyn Register, Allyse Brantley, Linda Ashley, and Nancy Chaklos. A group of wonderful caregivers work early morning and late evening hours seven days a week to make sure our cats and dogs are fed, exercised, and live in a clean environment. We are especially grateful for this group of employees who care for and love our canine and feline friends. Animal Rescue Foundation is also served by a host of dedicated volunteers who perform a great variety of tasks for ARF ranging from walking dogs and socializing cats to organizing and assisting with fundraising efforts. 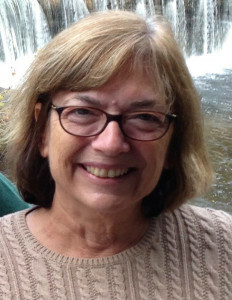 Without these volunteers, ARF could not continue to exist. ARF most definitely would not exist without the generous donors who support us with both financial gifts and services. ARF does not receive any support from governmental agencies. All support comes from private donors with occasional support received in the form of small grants. Many Georgia College students complete community service requirements at ARF. With their help, dogs are walked, cats are entertained, and cages are cleaned. We hope that ARF leaves with them with a much deserved sense of accomplishment and a lifetime desire to help their local humane societies and to continue to work for the welfare of the animals. To help local families during times of hardship, ARF maintains a pet food bank thanks to the generosity of local businesses and individual donors. This has allowed many pets to remain in their homes rather than be surrendered to our shelter. ARF is also partnering with Baldwin County Meal on Wheels to help provide pet food to their clients with pets. We also provide humane education classes to kindergarten through third grade students in our local schools. Volunteers and generous donors helped build the Peaceful Pet Crematory from the ground up. 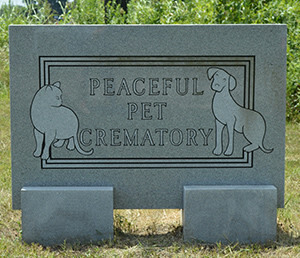 In 2009 the dream of having a local pet crematory became reality, and PPC opened for business. The compassionate staff at PPC provide dignity to deceased pets and help the owners left behind preserve their memories. Revenues from the crematory support our shelter. Over the years, ARF has accomplished many goals, cared for and found homes for many helpless pets. Please contact us if you would like to become a volunteer, visit our You Can Help page to see a list of items we can always use at the shelter, or make a one-time or recurring donation. Your continuing support will allow us to improve and expand much needed programs in our community.